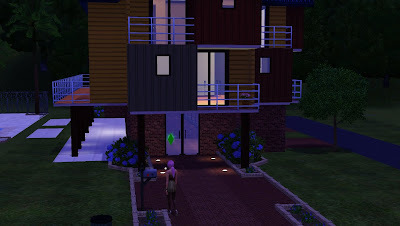 After a pointless series of groundless speculations as to what Cyclone would achieve by convincing her with a lie about a non-existent thought disorder crisis, Ashton somehow finds herself in front of the doorstep of the apartment in which a big liar resides. She's just not the type of person who would get over an issue overnight. And having a history of dwelling in an emotional distress for too long, she's not about to let this little lie go without a confrontation. 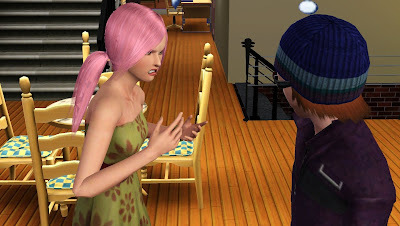 Ashton was not happy about the fact that she's practically with Connor because she fell into a pitiful deceit. Well, she is happy to get to know Connor but to realize Cyclone has a motive in bringing them together (not to mention successfully), was giving her a roller coaster of nerve wrecking dilemma between what was real and what wasn't. The only peace of mind she would get is by having Cyclone to spill out the truth. There was no turning back now that she had ring the doorbell. She was shortly welcomed by a cackled sound from the intercom. "Yellow!" answered a guy full with enthusiasm despite the late hour, basically merging Yes and Hello together. "I need to see Cyclone Sword, is he in?" "Ashton? Whaddup, girl!" exclaimed the voice. " C'mon up. I'm at the second floor." He buzzed the entrance, remotely unlocking it. 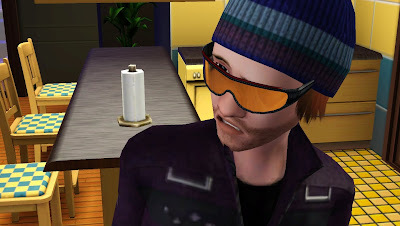 Arriving on the said floor, Ashton noticed how deserted the apartment was. 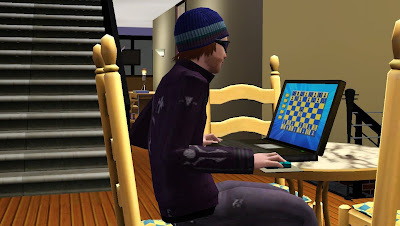 Everybody probably had gone to bed, leaving a particular nocturnal liar beating a chess game over the Internet. "We need to talk," she blurted to him. "Whoa, why so serious?" he snapped his laptop shut. "Now?" It was more of an urgency rather than a suggestion. 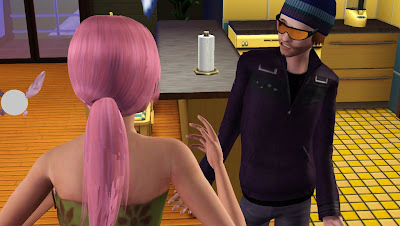 "Uh, sure, this way," he gestured her towards the kitchen. She didn't see the relativity of the location to her being regarded serious, but she followed him anyway. He turned around to face her, "Okay, shoot." "You lied about Connor getting you souvenirs," She got straight to the point. "What else were you lying about?" "Oh, wow, so you found out," he smirked like it was no big deal. "Guilty as charged. Pretty creative. huh?" "It's not funny, Cyclone," she was glaring at him. "What else were you lying about?" "Wait, what?! You were upset about that?" only now he realized she had a disturbed expression. "Girl, that's the only thing I made up. The rest were genuinely, spotlessly the real deal. Honest!" "Really?" she knew he's not entirely frank about it. 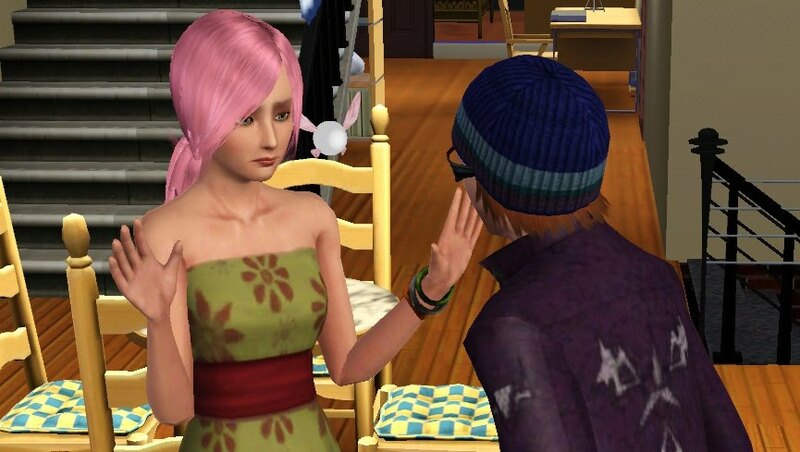 "Cause I'm figuring, everything you said to get me to date Connor, or to get him to agree with you were all lies." "Oh, gawd, I knew it! You won't let me off that easily," he was referring back to the part where he got Connor to go for the date because he told him that Ashton had already agreed, when she actually hasn't. "Look, girl, you're over reacting. But yeah, I owe you both an apology for that. - But I didn't lie about the rest, m'kay?" "You didn't have to lie at all," she told him. "I know, I'm sorry," he apologized and somehow felt that was all it takes. "Unless, you had some hidden agenda to this setup," she somewhat unleashed her deliberation. It buried all his reliefs in the dumpster. "You wouldn't all of a sudden just match make people out of the blue. You wanted something to happen, didn't you?" "Gawd, Ashton, please - " she tried to calm her down. "You wanted us to be together for a reason," she went on. "And it bothers me that you had that confidence that it would. - And it has! - You did it. Shall I congratulate you?" "Y-You guys? Really?!" he was surprised. "That's awes -"
"Spill it!" she demanded cause by the look of his reaction, he was happy for something else. Something beyond being happy for his friends that are romantically involved with each other. Something complicated. Something ugly. Something. "Okay, okay," he surrendered. Which only means one thing; Ashton was right about him having a motive behind all this. "Chillax, girl." Somehow she actually wished he was not brewing hidden agendas at all. Because the moment he admitted defeat, was the moment she regretted exposing herself to something potentially hurtful. The truth. Whatever it is, she just had a bad feeling about it. "You want the truth?" he heaved a heavy sigh. He thought he could be happy about Ashton and Connor seeing each other but he didn't predict Ashton would react this way. 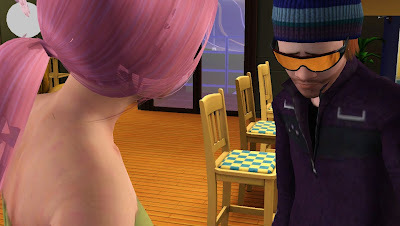 Although she can't see his eyes behind those reflective shades, she knew he was not poking fun anymore. "You're right," he confessed. He paused, which made her more nervous. Her heart went pumping fast. "I had a motive. But!" he snapped, before she can think of him differently. "Not because I'm gaining something out of this. 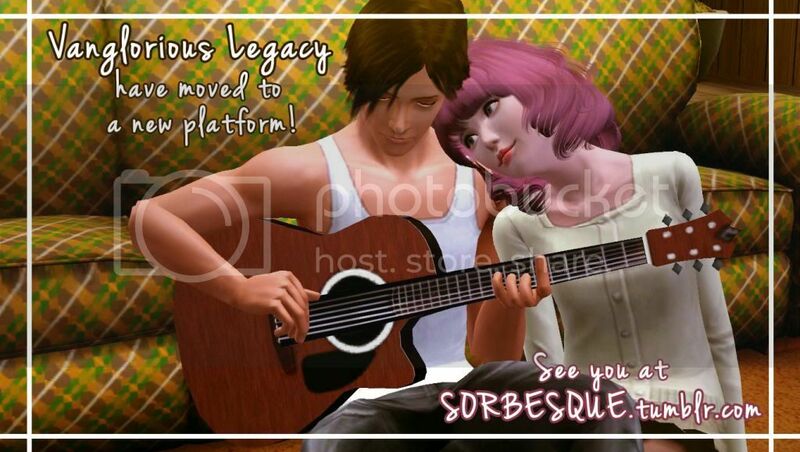 My plan was just to get you guys to meet again. Hoping that Connor would finally end his search, because you're already here." "W-Wait! Wait!" she interrupted. He was going too fast and the details were quite confusingly shocking for her to relate to. "What do you mean meet again? What search? What does it have to do with me? I - "
"Girl, I don't know where to begin," he felt sorry for ever had to reveal it that way. "Look, I'm not the right person to tell you this. You should be hearing this from Connor himself." "What?" she felt something shattered inside of her. 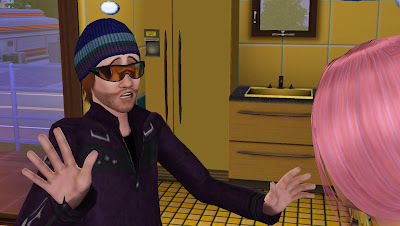 Cyclone knows something and the way he explains it, puts her on the spot where she can trust neither him nor Connor. Hear it from Connor? Was Connor behind this? Behind what? - "Why? What is going on? Tell me what? I don't understand..."
"He's been looking all over for you after Thelma, Ashton," as always, Cyclone shoved the bush aside but this time, it made the air heavy. This wasn't some ordinary reply. "I just don't geddit why he wouldn't meet you right away, which is why I planned the date," he went on. "That's how I got myself into the picture. Trust me..."
Ashton was speechless, terribly confused and there was no way she had expected that kind of answer coming. Right that instant, a subwayful of thoughts crashing in her head and everything didn't make any sense to her. Why was Connor searching for me? He knows me? Thelma? Who is he? What does he want from me? Hear it from Connor? Wouldn't meet? End search? Finally? Right away? Who is Connor? Who was I to him? Me? What?! Aargh! "STOP!" she shouted at herself. She was getting a headache with all the questions begging for answers she wished she didn't have to know. Ashton wished so hard that Connor had nothing to do with Cyclone and whatever he's saying. She wished she had never came here. She wished she had never got into Sunset. She was wishing for many things to undo what is happening right now. Cyclone asked if she's okay. She stepped back. "I... I gotta go," she stammered. It was too much for her to handle. She wanted to run away... Far. "It's late, let me send you home," he offered. And she refused, "I need to be alone."